This is very, very cool: The Lunar Reconnaissance Orbiter, currently orbiting the Moon just 50 km off the surface, has taken more shots of the Apollo 17 landing site… and has seen the actual U.S. flag! Well, lookit that! It’s fuzzy and small and hard to be sure it’s the flag in the picture, but there it is. 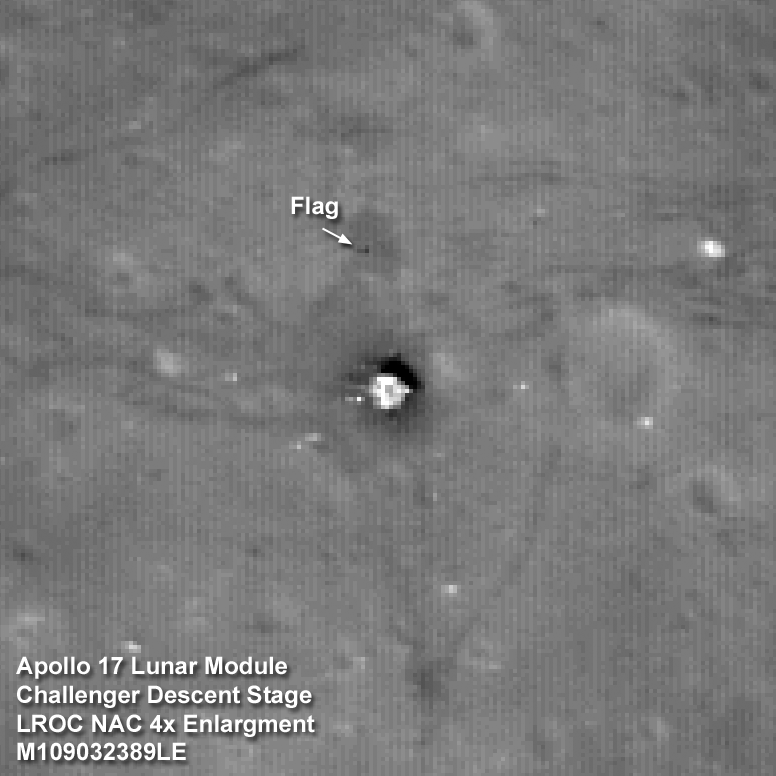 It does match maps made of the Apollo 17 landing site, so it’s definitely the flagpole we’re seeing there. Incredible. 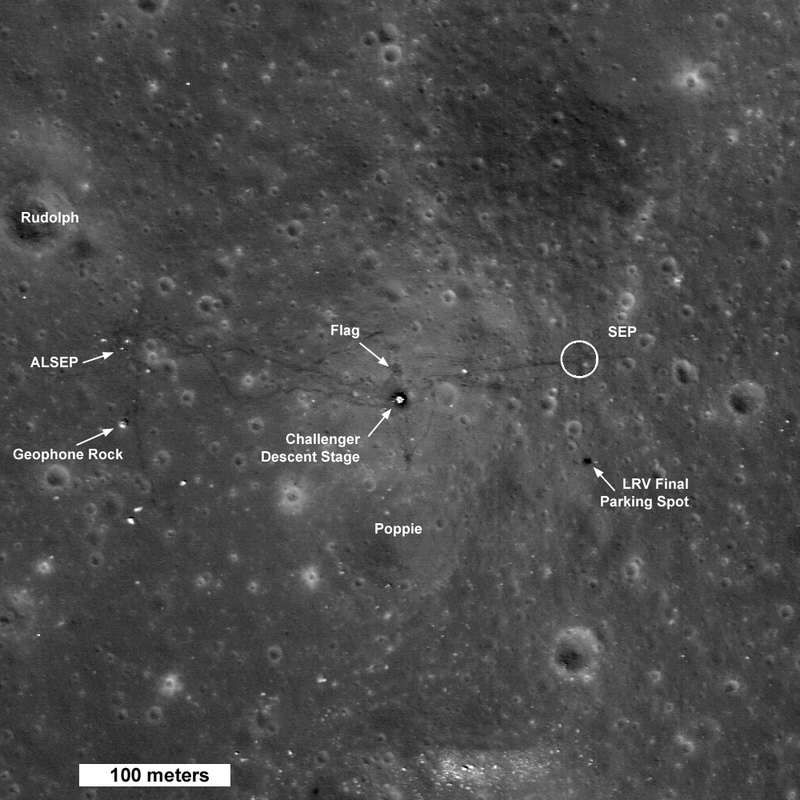 The LRO page on this has more details, including comparisons of the images from LRO to ones taken in situ from Apollo 17. Remember too that these LRO images have a resolution of 50 cm (18 inches) per pixel! Back to the flag, there’s a curious thing about it. The flag itself was nylon, and that tends to get brittle when exposed to ultraviolet light — which is relentless and plentiful on the airless Moon (the thermal pounding it’s taken between day and night can’t help either). I’ve often wondered what we’ll find when we go back to the Apollo landing sites; I half-expect to see red, white, and blue powder off to one side of the flagpole, and no actual flag left on the pole. This picture, as frakkin’ amazing as it is, is still just barely too low resolution to be able to say for sure, I think. The shadow is only a pixel or so in size and so it’s hard to say what’s what. Still, Holy Haleakala. 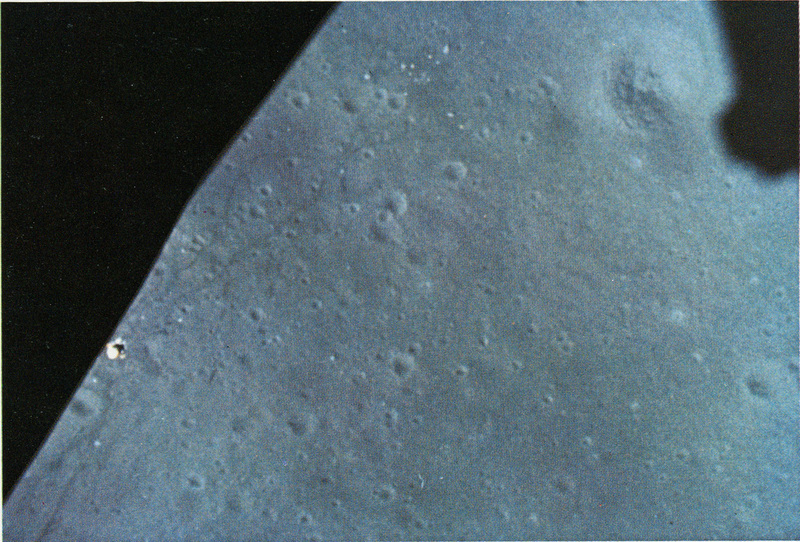 Apollo 17’s flag. I wonder what Gene Cernan and Jack Schmitt thought when they saw this picture. And I wonder when we’ll go back.